Little did people know, Mew was already in the game. Near the end of the game's development cycle, the team removed the debug feature. With 300 bytes of data to spare, the team snuck Mew into the game, even though they had been told not to touch another fragment of the game's code. "What we did would be unthinkable nowadays," Pokémon programmer Shigeki Morimoto said during an Iwata Asks interview. Even the higher ups within the company were unaware. When rumours of Mew's existence started cropping up, they dismissed them as enthusiastic fan talk. It is hard to know who started the rumours, but Morimoto claims that Mew began showing up in players' games due to a bug. There are many ways to glitch the game to acquire Mew. Most likely, the player who first found Mew might have found it while performing the "Trainer Fly," a glitch still used by speedrunners today. But the Trainer Fly wasn't well-known in 1996, so The appearance of Mew sparked different rumours of how to find it. The most prominent centered around a truck near S.S. Anne. Like gold in "them thar hills," Mew was supposedly waiting to be found. Most rumours said to have a Pokémon or team of Pokemon use Strength to move the truck. From there, many things could happen. Some said Mew would appear. Other said it unearthed a Team Rocket hideout when the creature could be found. It was, of course, complete nonsense. The accidental discovery of Mew in games and mounting rumours led to promotional offers and contests where players could get the Pokémon. The largest of these came in Japanese manga magazine CoroCoro Comics. The 'Legendary Pokémon Offer' selected twenty winners out of a submission pool of roughy 78,000 entries to receive Mew. They needed to send in their game carts to have Mew added to the game. 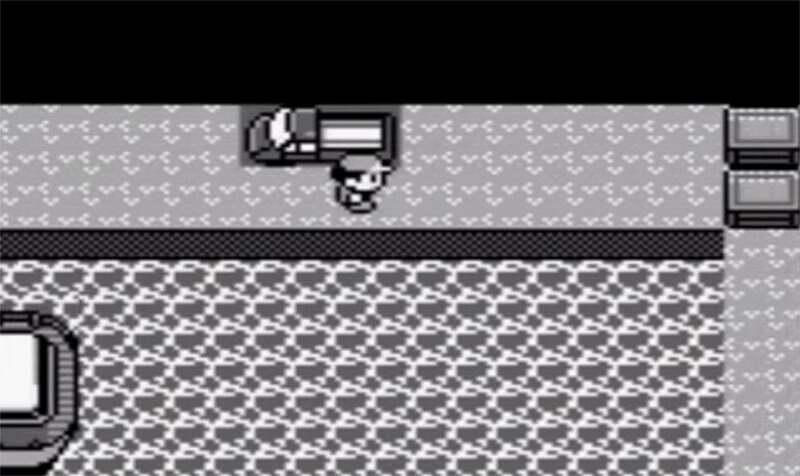 There was never a hidden Pokémon under that truck, even as later rumours claimed you could find the elusive (and fictional) Pikablu. But in FireRed and LeafGreen, programmers did leave a Lava Cookie near the truck as a playful reminder of the time so many of us believed in beautiful rumours. Ah yes, I remember this well. It was during the youth of the internet when connections were slow and rumours ran rampant. 1. Mew was proven to exist in-game. 2. The Truck was outside the regular area one could see during a normal playthrough, lending credence to the notion it had a purpose. 3. Both Surf & Strength are gained after visiting the S.S Anne, which you cannot revisit after completing. Only by trading the necessary HM Slave into an earlier game could this even be attempted. 4. By the time the rumour gained notoriety, almost all players were guaranteed to be beyond the S.S Anne and thus no-one could (or would) attempt it since it meant losing your current progress. Because of these factors you ended up with chat rooms flooded with people wanting to know if it was true, and the few people that had attempted it and proven it false were equally matched with trolls voicing the rumour's truth. Between that and other rumours (like the Triforce rumours in OoT) it was a very interesting time. I miss the triforce rumors. By far my favourite was the beat the running man to receive the mega-shot hookshot then hookshot the sun at lake hylia to be transported to the sky temple where you could locate the triforce. I remember reading the one rumour that involved blowing up every single seeing-eye statue. 5 hours later I was a very sad kid. 3. Both Surf & Strength are gained after visiting the S.S Anne, which you cannot revisit after completing. Only by trading the necessary HM Slave into an earlier game could this even be attempted. Actually there was a trick you could do where you left one trainer able to battle and after you obtain HM01 from the cut master you white out from that last trainer. Now you have cut and can progress through the game and the SS Anne is still there. Come back with surf and strength and have your hopes dashed lol. 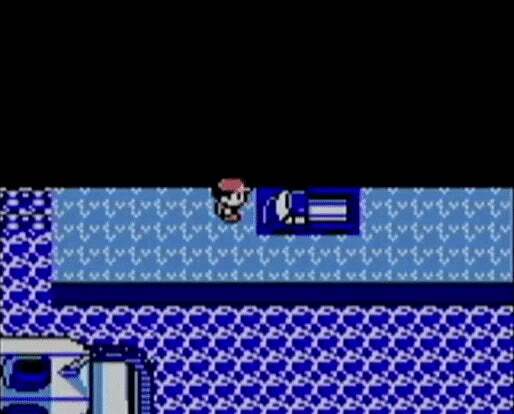 Or save one tile above one of the statues at the entrance to the SS Anne while facing the water, then when loading you'll be facing the statue which you can surf onto in order to get around the NPC that blocks your path. Oh man my mind has been blown. Didn't know that one. The bit that always screamed BS for me was that to use strength/surf outside of combat you had to have badges you can only obtain after leaving the S.S Anne. Nintendo came to the shopping centre near our place and gave anyone that came a mew. I managed to go through the line 3 times. Nintendo came to a shopping centre far from my place. Went down with a friend to get 1 Mew each. Yep, that's where I got mine too. They had a full set up and I remember young me treasuring even the plastic bag I picked up there. Took my mate and we were the talk of the town. I wasn't into Pokemon back then but I remember a similar rumour regarding the "Moon World" in Super Mario World. To access, as the rumour had it, it you had to carry a P-Switch that was found towards the end of a lava level to the beginning of the level to make a door appear there. The problem is that the level's design disallowed going back with lots of jumps that were only possible from left to right. Next to the P-Switch was also the only unbroken stretch of ground that allowed Mario to get enough speed to fly with the cape, so in theory you had to run and fly, pick up the P-Switch while flying (which was in itself a really hard trick to master), then navigate the whole level backwards using a series of perfect dives and buffs to avoid obstacles. I said "in theory" because no one was ever capable of the feat. I myself managed to make it halfway true, spending several hours in that nonsense.